The Streamlined Filing Compliance Procedures will remain in place and available to eligible taxpayers. As with OVDP, the IRS has said it may end the Streamlined Filing Compliance Procedures at some point. Folder tabs with focus on offshore account tab. 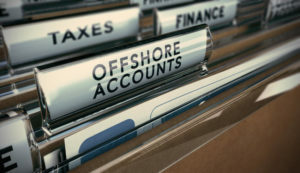 Business concept image for illustration of tax evasion.